Click the button below to add the V6 Frontier - All Terrain Electric Power Wheelchair -New to your wish list. The V6 is a highly versatile Power Wheelchair. It can be used in our outdoors, depending on your needs and its configuration. 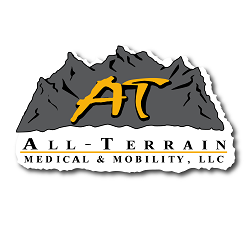 If you choose the All-Terrain version, you will be able to conquer difficult outdoor terrains as well as use it indoors. With the Hybrid version, you get the same powerful base with a less agressive tires, but a 14" driving wheel. The Compact73 is an indoor/ outdoor chair is shorter (compact) in length, but features a 73 A/hr battery, well made for covering longer distances. The Compact40 is offering a 40 A/hr battery, very manuveurable indoors and easy to get around inside the house due to its compact size. And how about a junior size of the Compact series? The Super Compact is your answer! Great for chidlren and indoor use, the Super Compact is your answer. If you prefer a Rear Wheel operational model, the Rear Wheel Drive is for you and can be fitted with more agressive tires and casters as well, if wanted. And at last: The Front Wheel Drive V6 option. Great as well for in or outdoors, the Front Wheel Drive chair is still short in length and offers good balance needed for every drive you take. Since the V6 is highly versatile, we appreciate you to give us a call to discuss which one you would like and which options are needed to complete your order. The base price starts at the price mentioned above, additional options are prices as per order form. We will try our best to get you the lowest price possible and are happy to discuss discounts for the additional options.